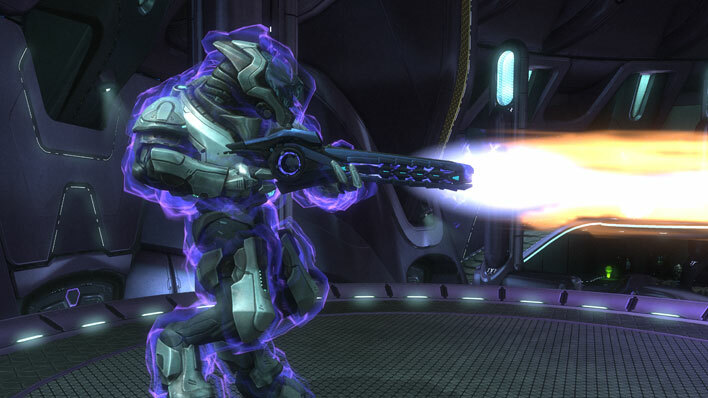 The Z-390 Incineration Cannon fires a powerful energy charge that spreads upon impact. 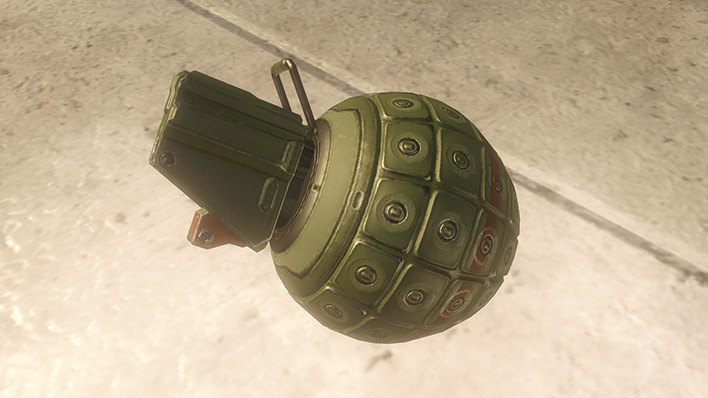 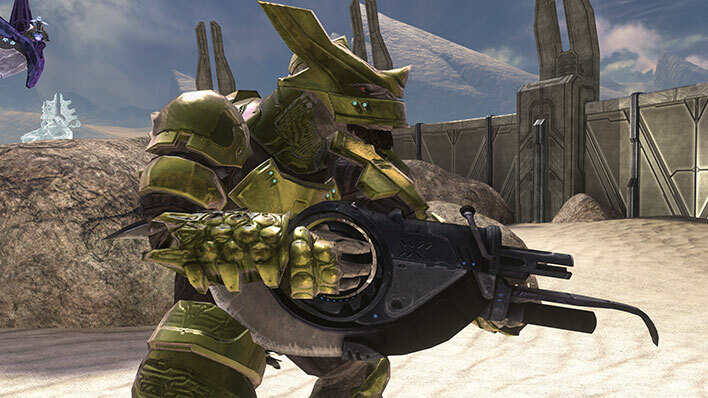 The Brute Shot is a Jiralhanae-devised explosive projectile weapon fitted with a razor-sharp, stock-mounted blade. 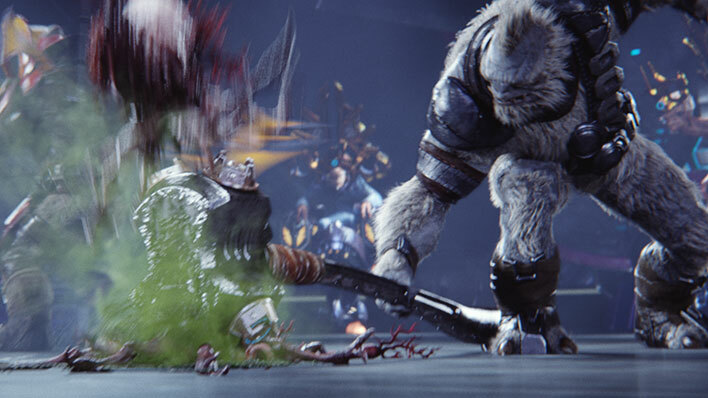 It is intended to terrify as much as it is to kill. 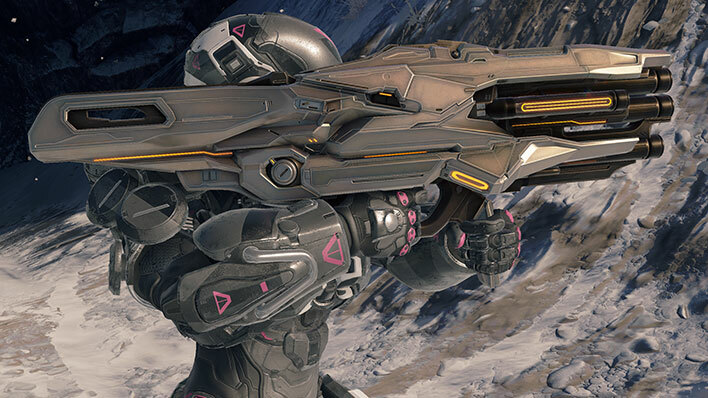 Long-range threat-neutralization system employed by Promethean forces. 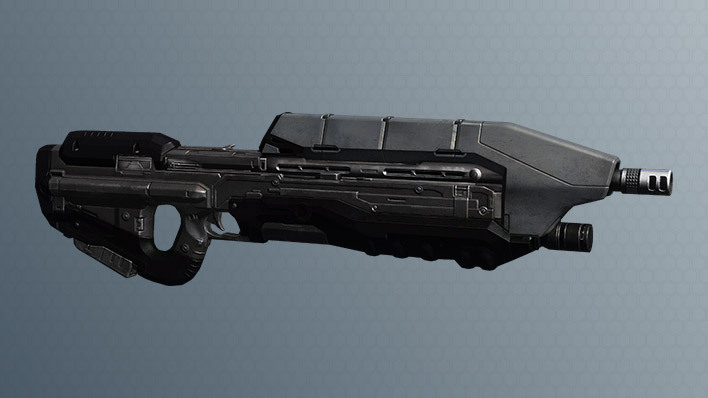 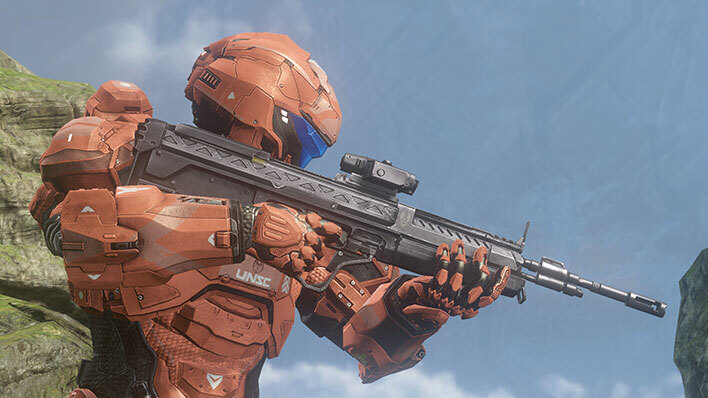 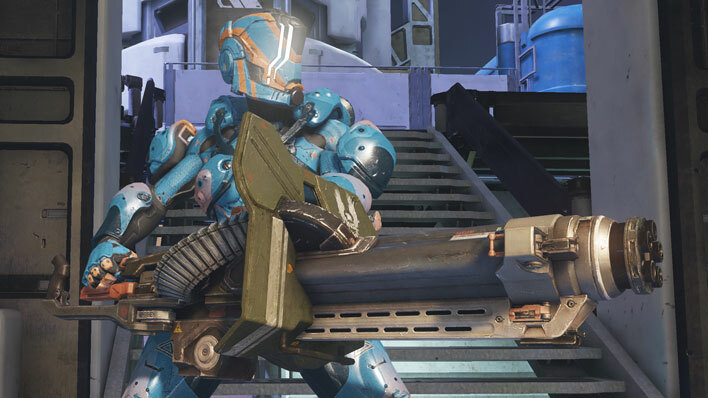 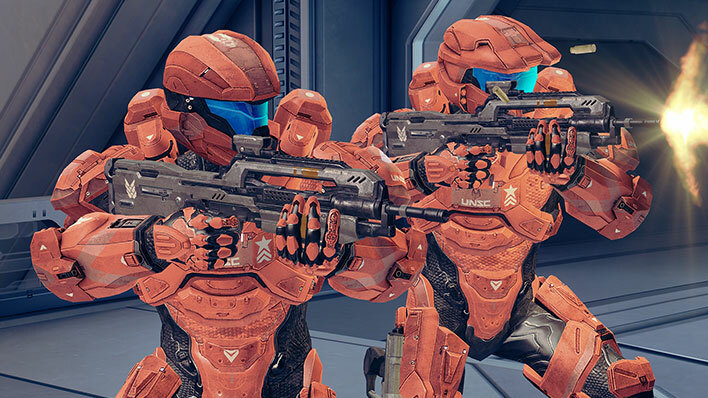 The T-51 Carbine is a compact medium to long-ranged infantry weapon employed by Covenant forces. 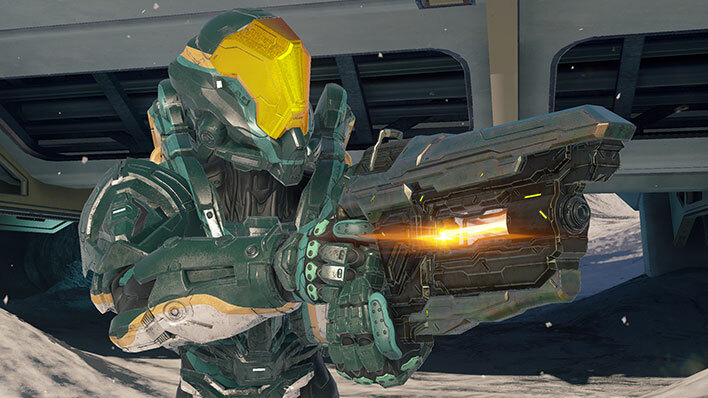 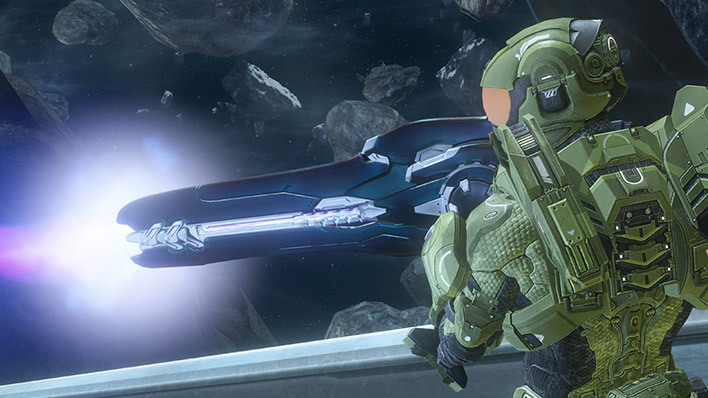 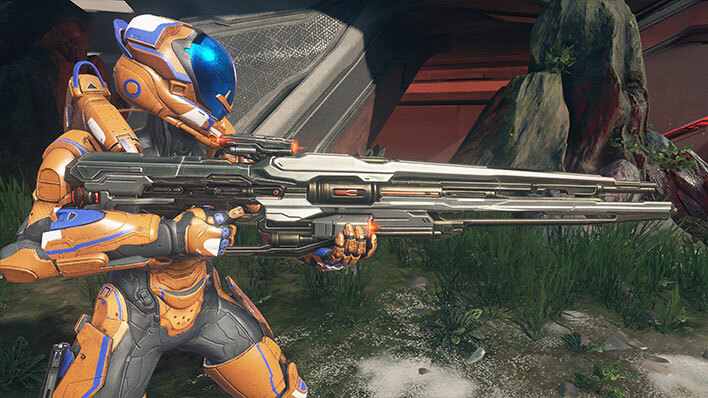 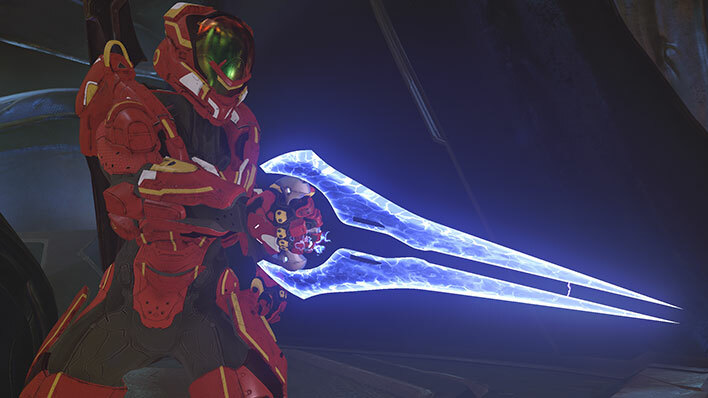 The Energy Sword, exclusively wielded by Sangheili, is a close-engagement weapon intended to express its owner’s personal skill, clerical honor, and combat viability. 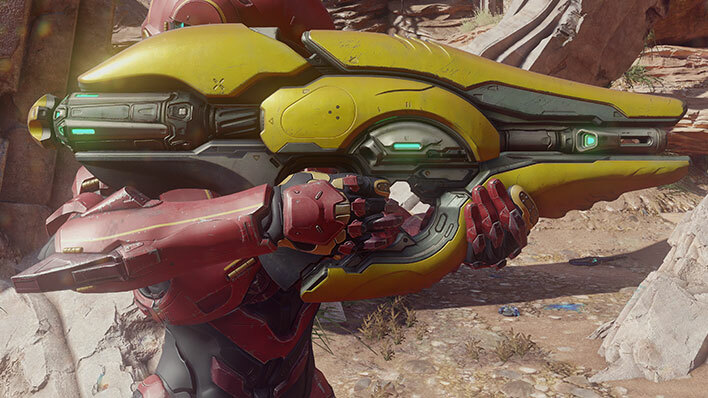 The Fuel Rod Cannon is a shoulder-fired heavy weapon that launches extremely volatile explosive projectiles that detonate on impact. 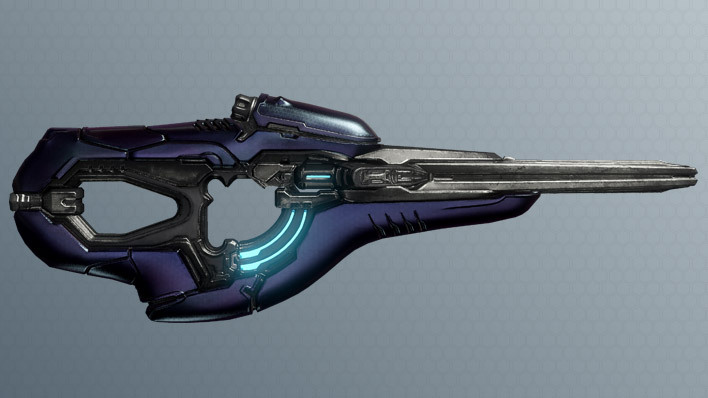 The Focus Rifle is a long-range, precision weapon that repurposes existing, active Forerunner machinery – in this case, beam emitters installed in the Forerunner’s Sentinel Aggressor drones.